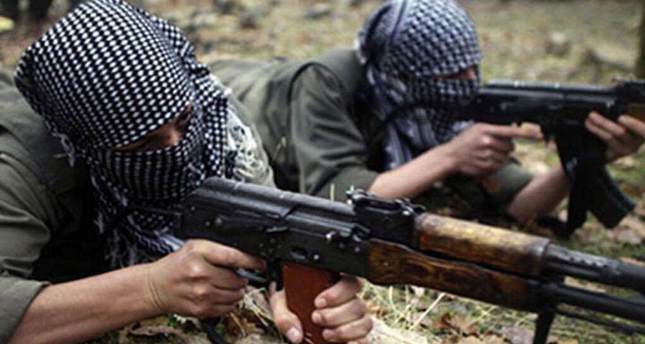 PJAK (Party of Free Life of Kurdistan), Iranian offshoot of the PKK terrorist organization, has claimed that it has killed 20 Iranian soldiers in their attack upon a military guard post in the Kurdish province of Mariwan, reported the BBC. PJAK's armed wing YRK (East Kurdistan Defense Units) made the statement about the claim. According to the information received by BBC Persian, security officials of the Kurdistan province of Iran, confirmed the attack but stated that there are no casualties. In YRK's statement, it was noted that PJAK's attack was retaliation against Iran's Revolutionary Guards' recent operations which violated the de-facto cease fire..
PJAK which is associated with the KCK (Group of Communities in Kurdistan), the umbrella organization for armed terrorist groups of PKK and PYD, had ended all armed operations unilaterally and had declared a cease-fire between both parties in 2011, but the Revolutionary Guards has stated that the conditions of the cease-fire were "vague" and insufficient. Earlier this week, PJAK's military wing YRK had claimed that it had killed the commander of Revolutionary Guards along with 12 other Iranian soldiers in the province of Kermanshah which is heavily populated by Kurds. Yet, the news was not officially confirmed.